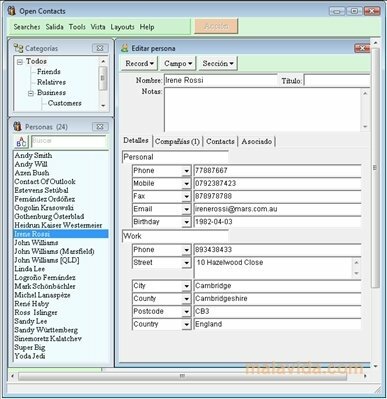 The amount of contacts, addresses, telephones and data that used to be kept in a notebook beside the landline phone, have now found a virtual space in Open Contacts, an application that implements an organizer, telephone registry and in general, any data that we need to store to be able to check at a later date. Open Contacts incorporate the capability to synchronize some web services, that at the same time allow you to have all your mobile phones, PC, laptop and other gadgets organizers updated. It also has support to export databases to the general standards regarding these applications such as CSV, Excel, vCard, XML (xCard), HTML, hCard and XFN. But if we have used other programs beforehand, we can import the following formats MS Outlook, Outlook Express (WAB), Eudora, Netscape / Mozilla Thunderbird, XML (xCard), CSV, LDIF, Vista and vCard. 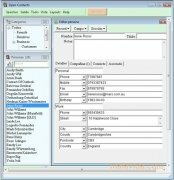 The contacts can be organized by categories, alphabetically, by business... being very easy to find all the data necessary. 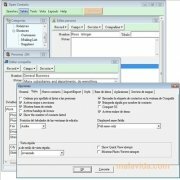 To sum things up, a very versatile and useful contact manager and organizer.